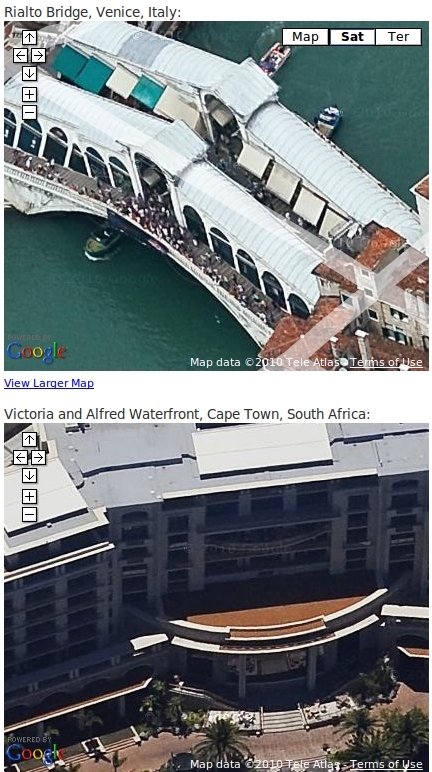 Google Maps has rolled out a feature to the main map that has been previously available to developers and through Google Map Labs – viewing locations at a 45 degree angle. This type of imagery allows you to explore the sides of buildings and other locations — you can even rotate around a particular point of interest using the compass ring to view it from four different perspectives. 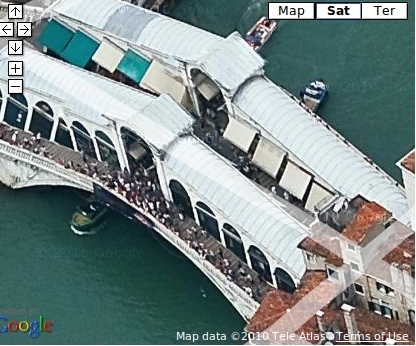 To see the new imagery, simply zoom into an area while in Satellite mode. Where we have 45° imagery available, the imagery will switch from an overhead to 45° angle as you zoom all the way in. You can then pan smoothly across the map to get a richer view of the area.